The resort of Pamporovo has a unique claim to fame, this bright, modern ski resort high in the Rhodope mountains is the sunniest mountain resort in Europe. 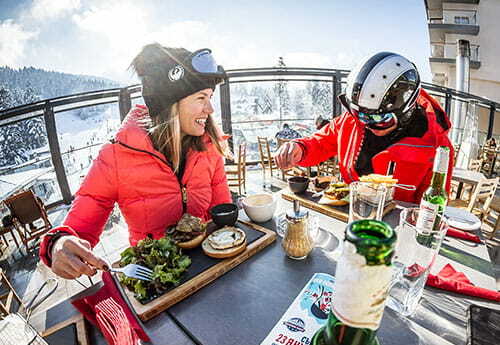 Pamporovo boasts on average no less than 270 sunny days a year and in the winter provides an ideal combination, plenty of snow and sparkling sunshine to show off the resort at its best. Pamporovo holidays are particularly suited for both beginners and intermediates, however Pamporovo's Giant Slalom run will ensure that any experts are more than happy. Your Pamporovo lift pass will also give you access to the slopes at Chepelare resort with a free shuttle bus service to take you between the resorts. 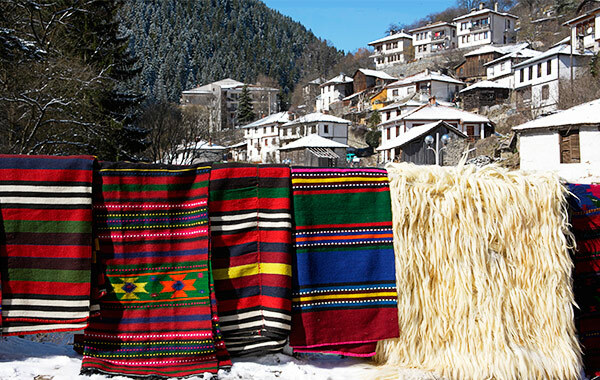 Chepelare, lying in a small valley at the heart of the Rhodopi Mountain, just 10 km from Pamporovo offers ski runs that vary in difficulty from green to black as well as the longest ski run in Bulgaria. 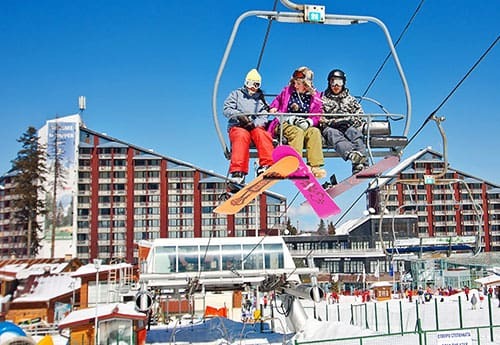 A high-speed quad lift connects the town with the Mechi Chal peak while a few smaller drag lifts are also available to the skiers on the slopes. 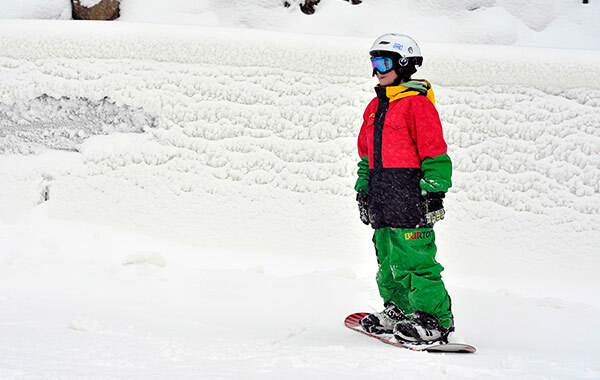 If both parents pre-book Full Ski pack, one child aged 5-6 years may attend the ski kindergarten free or one child aged 7-11 years gets a free lift pass*. For all charter flights we are offering return ski or board carriage including boots at just £20pp, which is 30% off the normal price. Pre-book any ski/snowboard services and packs for departure after March 9th 2019 and get 5% extra off (Carriage not included). The compact resort of Pamporovo has 38 kilometres of marked ski runs in the Pamporovo ski zone as well as in ski zone Mechi Chal, accessible by a combination of chair and drag lifts, including a 6 man chairlift and 25 kilometres of cross country trails, making Pamporovo holidays a great choice for any ski addicts. After a great day's skiing the apres-ski in Pamporovo is fun and inexpensive with lively bars and disco's waiting to welcome you in. For those wanting to sample a bit of true Bulgarian life, head to one of the many local folk restaurants to try the local specialities accompanied by some popular Bulgarian wine. 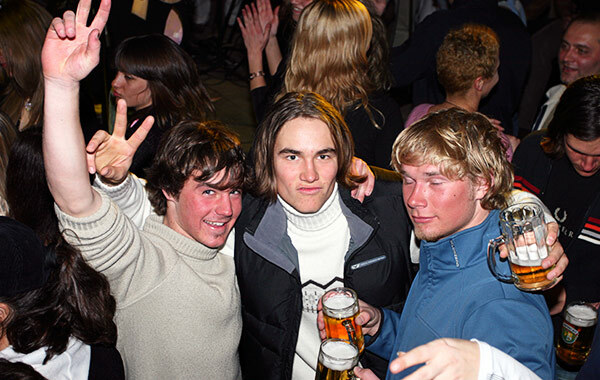 Apres-ski in Pamporovo is fun and inexpensive and there are discos and a number of lively bars available. While you are in Pamporovo, you really should sample the delights of the local folk restaurants that serve traditional Rhodopi specialities with some extremely palatable Bulgarian wines. In addition, there is always the ever popular Diploma Presentation Evening. As well as being an ideal winter sports centre, there's plenty going on in Pamporovo for those who simply enjoy a winter holiday in a picturesque mountain resort. Try bowling, clubbing or billiards. Enjoy dinner at a BBQ restaurant with a floor show, traditional songs and dances. 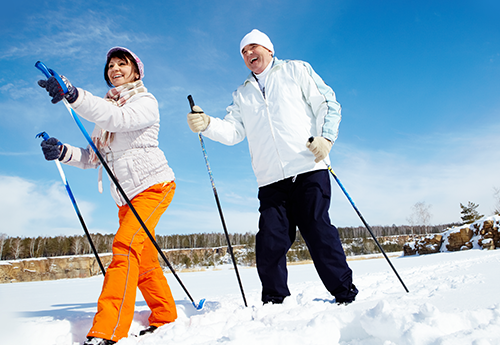 There is a great variety of activities & excursions available to book on the spot through your local representative. A torch lit walk through the forest listening to local folklore stories, snow tubing and an exhilarating ride on a powerful snowmobile are only a few of the options the resort has got to offer. Children aged 2-11 get a reduction on selected activities. There is a shopping centre in Hotel Perelik which also has a Post Office and souvenir shops. Mountain rescue service, ambulance and clinic (with doctor and nurse) plus first aid are available on all ski slopes. There are fully equipped hospitals in Smolyan and Plovdiv with a 24 hour pharmacy service. Please note: Some medical services must be paid for, in cash, locally. They will provide receipts to enable you to claim back from your insurance company once you get back to the UK. Join us as we take you to the best 4 bars and clubs in town, meet all the other party goers in resort. 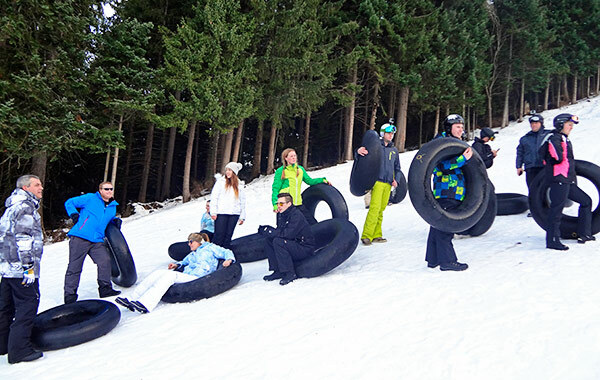 Slip and slide down the slope on our giant Ringos, no skills required, it's easy peasy and fun for the whole family. the stunning village of Shiroka Lucka , only 15-20 mins drive away from the Ski Centre. A short guided walkabout+delicious meal included. *This offer excludes departures on the 28th December 2019 and 15th February 2020.